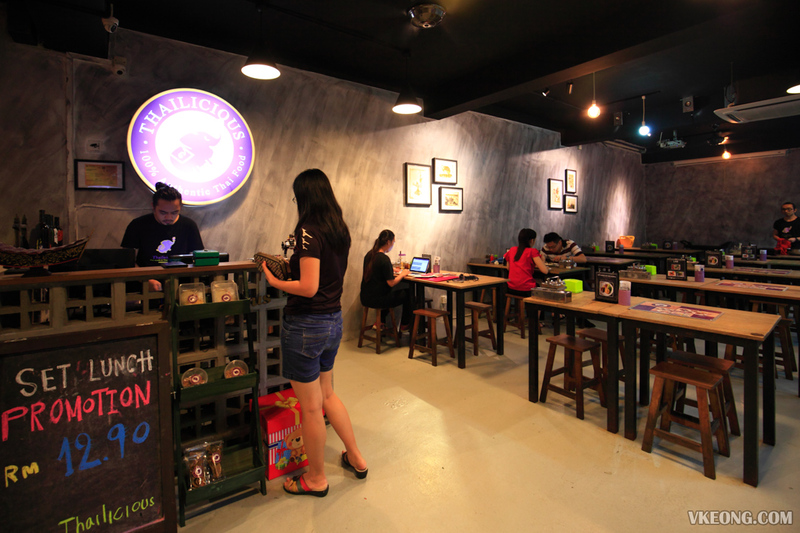 Remember when boat noodle was the craze of the town? If you are still have the hankering for it, Thailicious cafe is worth dropping by because they serve one of the best boat noodle in town. Their branch in Solaris Mont Kiara opens until exceptionally late too, so if you are looking for Thai food past midnight in KL, here’s the place to be. For boat noodle, the normal version is RM1.90 a bowl which is pretty much the standard price everywhere. Five flavors are available: pork, beef, chicken, tom yum and yen ta fo. 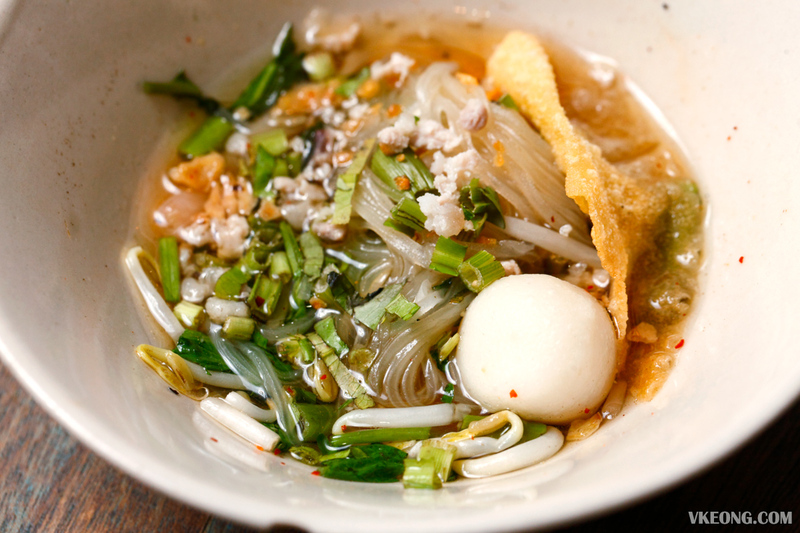 All of them were equally good but our favorite has to be the pork noodle. The tom yum noodle (shown above with wonton skin and fish ball) tasted different from what we expected, mainly because it was not spicy at all but rather sweet. The Thai Grill Pork @ RM9.90 was a tad lean for my liking (prefer it to have more fat) and slightly pricey for the portion, but at least they got the flavor right. 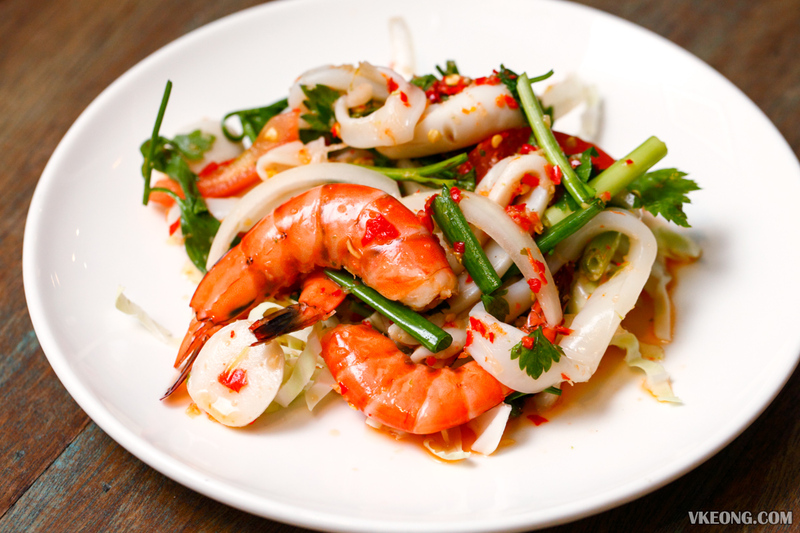 The Thai Seafood Salad @ RM9.90 was spicy, no kidding. Our only gripe was the lack of freshness of the prawns, otherwise it would have been great. 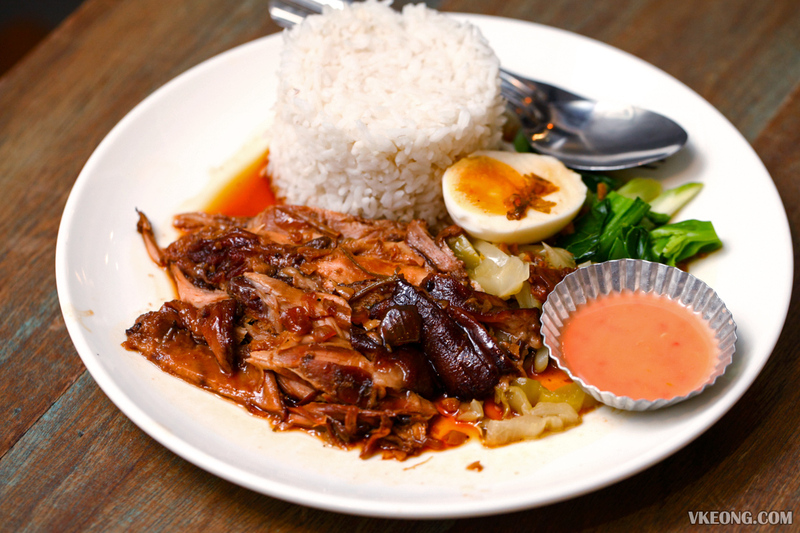 Thailicious also serves great Kow Ka Moo (braised pork leg rice) @ RM10.90. 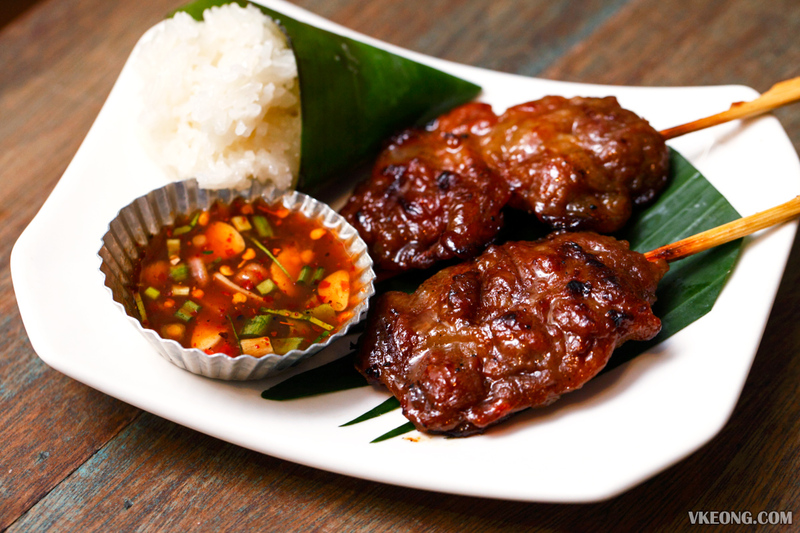 The pork leg was tender and flavorful while the chili sauce was spot on to what you may taste in Thailand. Recommended. 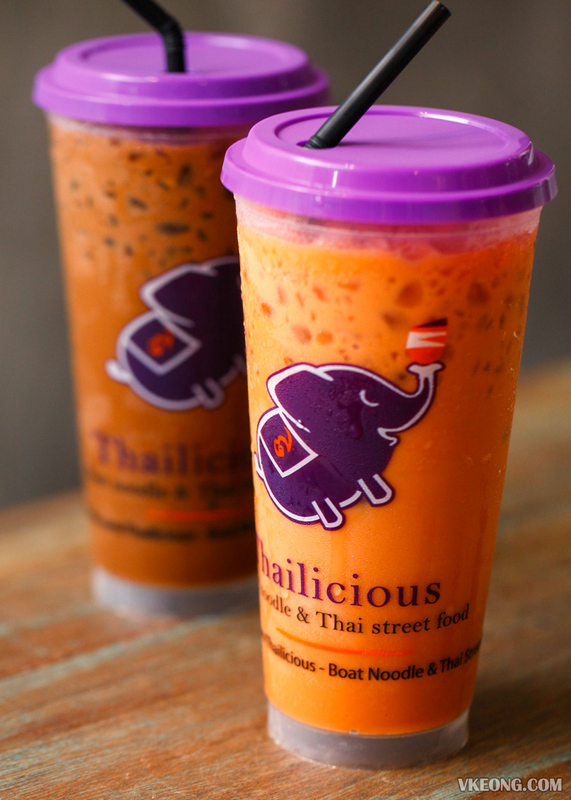 Thai iced milk tea @ RM7.90 and traditional coffee @ RM6.90. Not bad, at least it’s not filled with just ice. For dessert we had the Red Ruby @ RM3.90. They used scented coconut milk so it was more fragrant compared to the normal ones. But they should really check the jackfruit because it had turned sour. Despite some shortcomings, we still enjoyed most of the food we ordered. 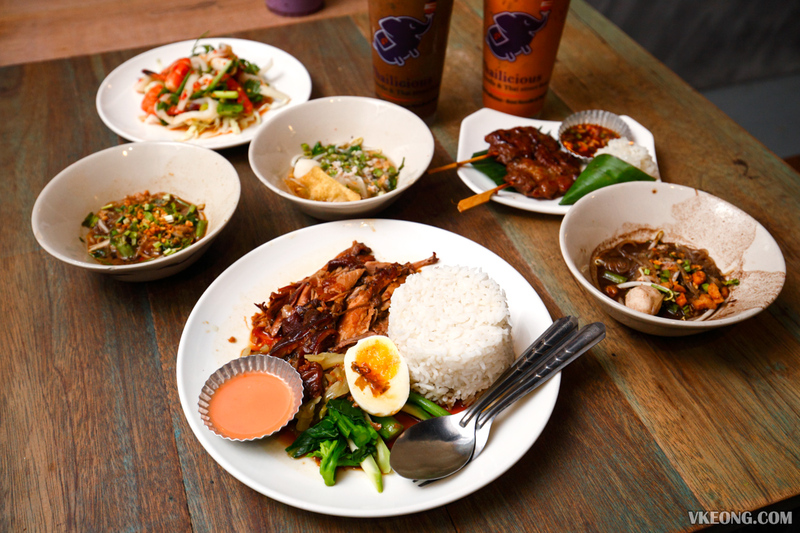 We would gladly return for the boat noodles and pork leg rice and try the rest of the menu. 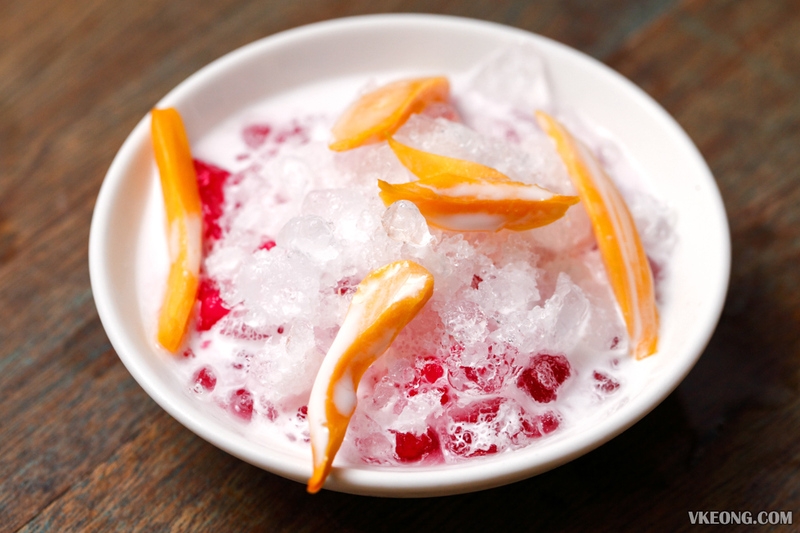 If you are looking for a full course Thai dinner in the area, head to Soi 55 Thai Kitchen & Bar instead. The post Thailicious – Boat Noodle & Thai Street Food @ Solaris Mont Kiara appeared first on Malaysia Food & Travel Blog.